The Andes provide multiple options for mountain bike lovers. Paved roads, tracks and dirt paths into the woods lure bikers visiting the region. 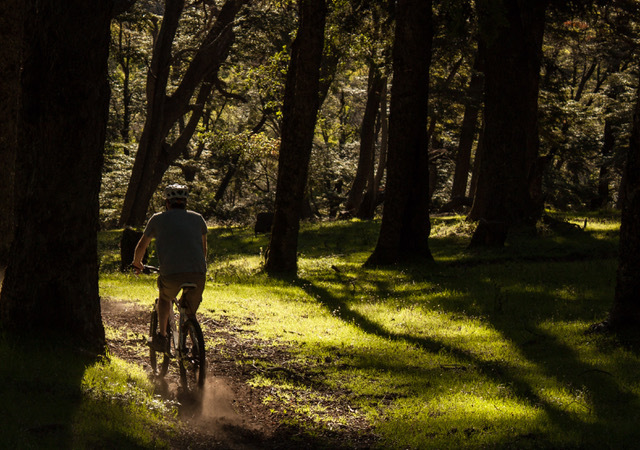 San Martin de los Andes, located southwest at the Neuquén province and set deep into the Andes on the coast of lake Lacar, offers exceptional biking circuits, both traditional and adventurous. From the center of Lanín National Park, many roads or tracks spread with different difficulty levels, lengths and slopes. 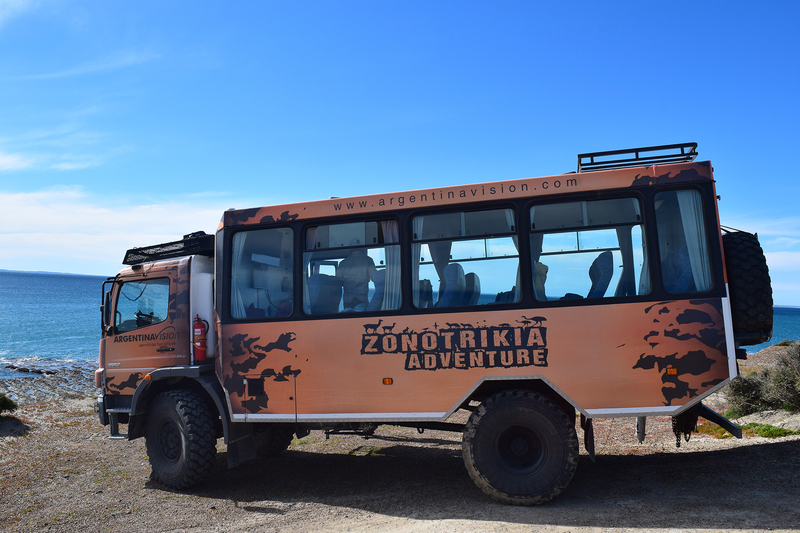 Riding on them you can enjoy the diverse regional flora, lush woods or Patagonian steppe areas, crystal clear rivers, streams and lakes, bird watching…a full contact with nature only a pedal away. 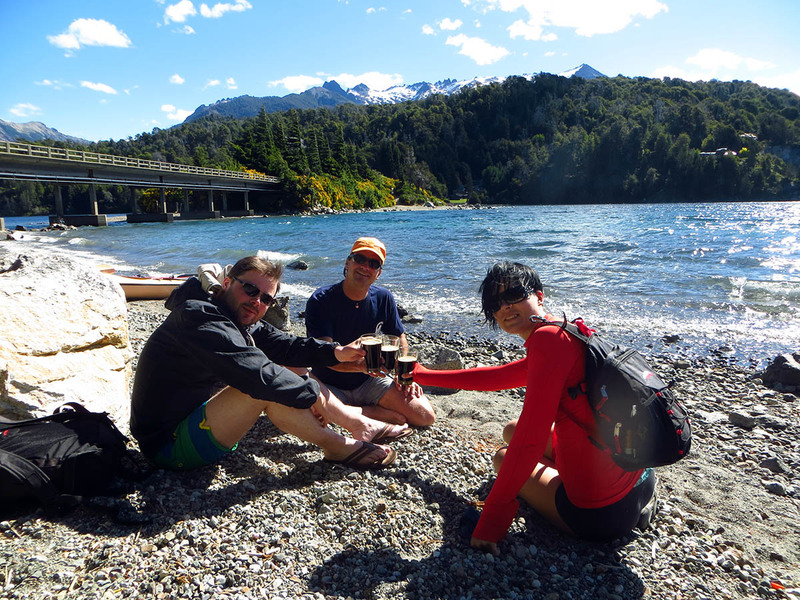 On a half day excursion we immerse ourselves into this beautiful scenery in San Martin. We start after getting our bikes in the town, jumping on a vehicle that takes us and the bikes through the first ascending kilometres. Once at the top, depending on the riders preferences and characteristics, the guide will recommend the path to follow with our bikes. After the choice is made, we begin to ride following the guide into the Andean Patagonian forest, observing huge trees along the way and feeling the typical freshness of such environment. Descending carefully through the selected path, we will stop by a few lookouts with views to the valley, rivers, lake beaches and lagoons. All picture perfect spots! After 3 hours riding, we go back to town. Pedaling through the winding tracks into the patagonian nature is definitely rewarding: breathing fresh air, riding at your own pace, hearing the sounds of this magical place and stopping by to appreciate the overwhelming vastness of the Andes scenery. Tired? Yes, but yet so happy and relaxed. Service available year round except on July and August, due to snow. Feasible any day of the week upon reservation. Time may vary depending on weather conditions. In summer it is recommended at 9 am or from 5 to 8 pm. On colder months, we recommend at 10 or 11 am. Included: mountain bike guide (authorized by the National Park), transfer in vehicle from the starting point to the beginning of the track, bikes with frontal suspension and helmet, first aid kit, intercom and bike repair kit. Previous experience in mountain biking is not mandatory but it is required to know how to ride a bike and have a good balance. Circuits may be modified to make them more accessible to people with less abilities, such as the case with 14-15 year old children. Nativo is the name for this voyage through man’s past in these remote corners. An experience that invites us to walk the steps of our ancestors and discover the traces they left for posterity. 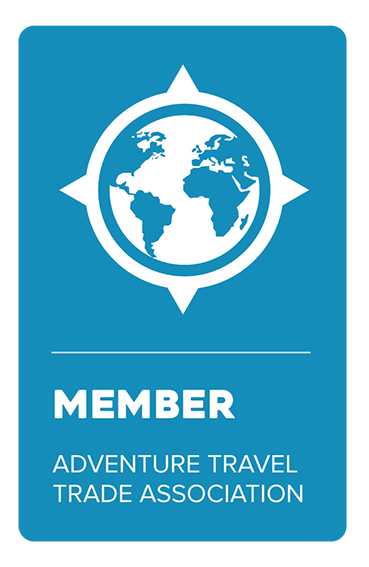 Through the Nativo experience, we will re-discover the stories of the first expeditions in Patagonia and of those brave men who ventured themselves into the unknown. We will explore the cliffs and the coasts of Lago Argentino in search of evidence of contact between these pioneers and the natives, to then immerse completely in the Tehuelche world. 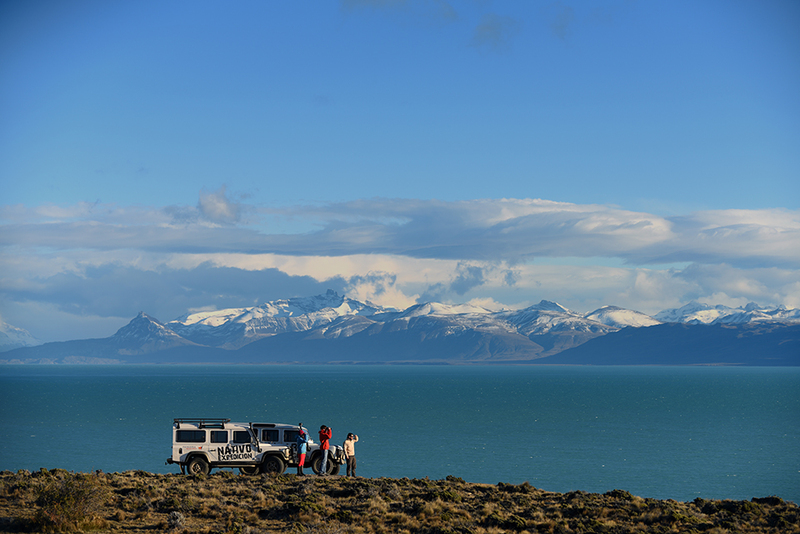 The adventure starts with a pick-up at the Hotel in Calafate in land rover overland vehicles. We will be driven to the coasts of Lago Argentino for an interpretation of the ground and the flora, with help from the guides that will instruct us on glaciology and geology. 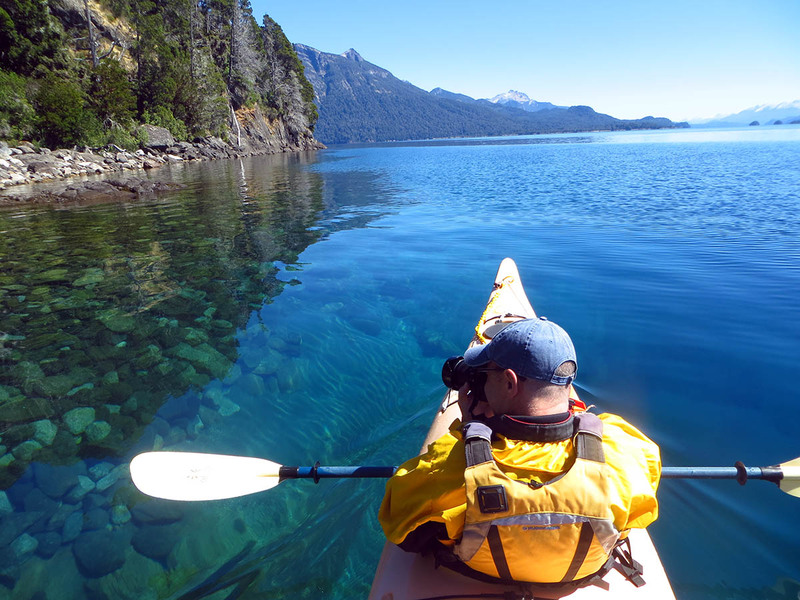 Lago Argentino is the biggest of the Argentinian lakes. Its name was given by Perito Moreno himself, who was amazed by the deep blue color of its water and the pristine white in the peaks of the surrounding mountains. After exploring the ground along the coasts of the lake, we will move forward to Punta Bonita’s cliff, the second stop in our itinerary. 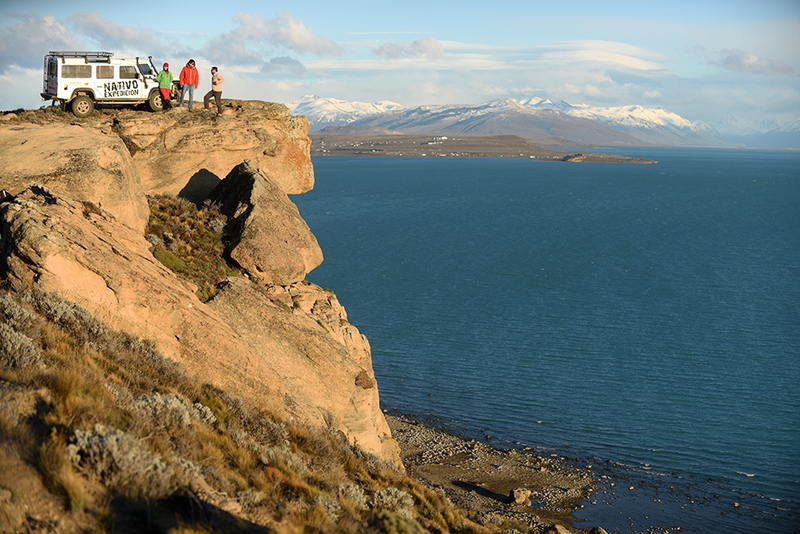 At Punta Bonita, we will appreciate the panoramic views of the lake, the Andes, and the city of Calafate, to then descend for the final lap of the tour. At this point, we will visit the caves of Punta Walicho. In this outermost place, we will find the rupestrian register of men that came south during the last big glaciation. 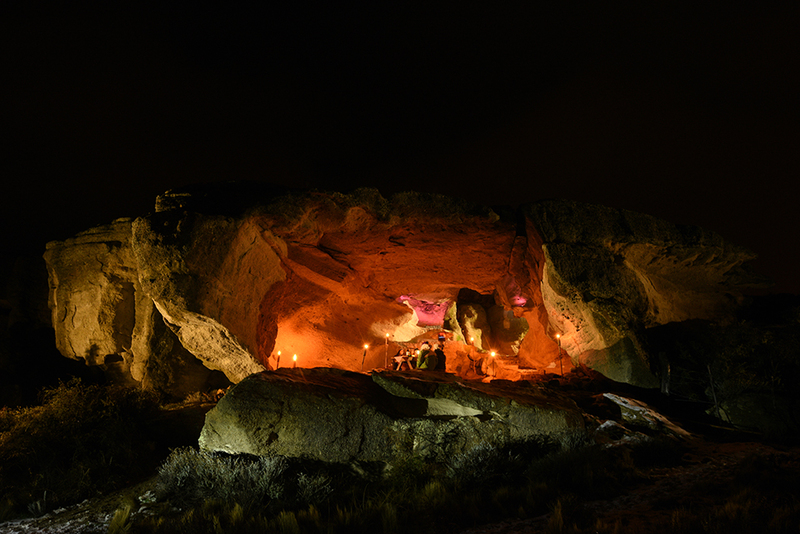 Punta Walichu is a Patagonian icon, the name comes from a Tehuelche god who was believed to inhabit these caves. 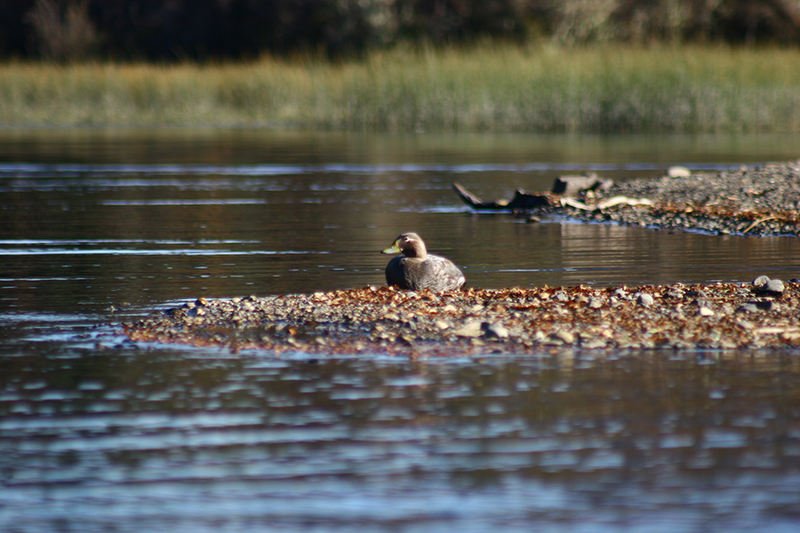 At punta Walicho, we will learn a lot about the hunting customs of this primitive ancestors as well as the perception that they had about themselves and the world around them. 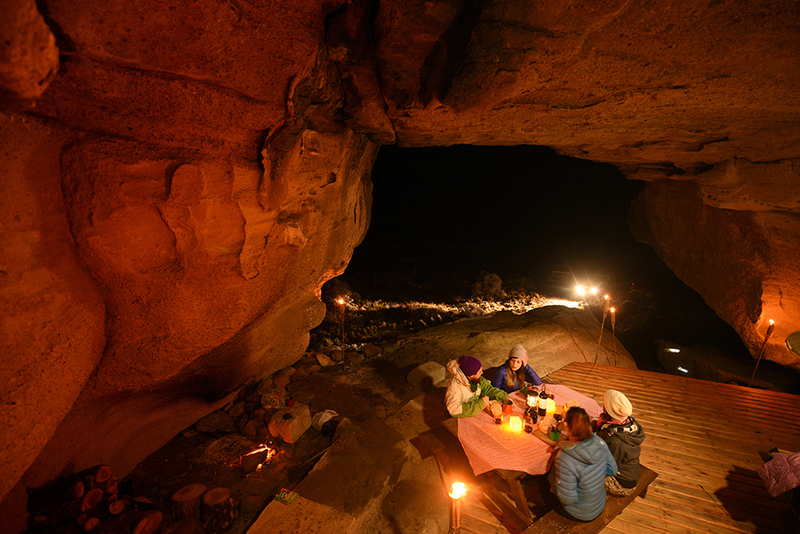 To end an extraordinary day, we will enjoy a delicious meal in the most exotic location: a cave. The table will be already settled for our arrival and the atmosphere is cozy and warm. 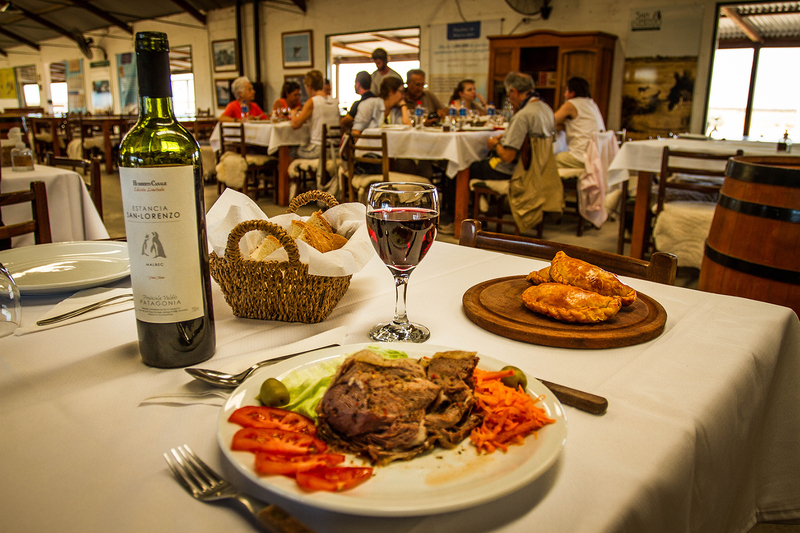 The menu consists of a homemade soup entrance, followed by lamb stew or sautéed rice and vegetables for vegetarians and vegans, accompanied with wine or water. For dessert, you can enjoy a delicious chocolate mousse with almond praline. After this magnificent delight for our palate, we will be driven back to our hotel. 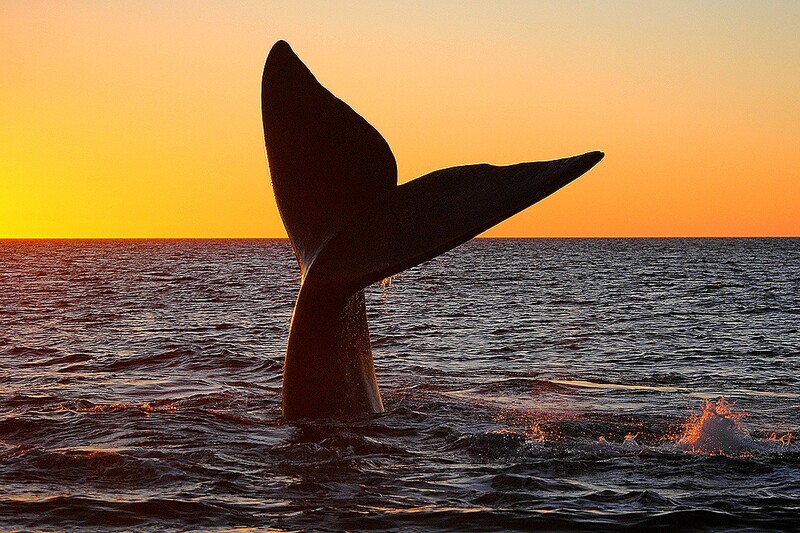 This three-hour tour that will let you grasp al the spirit of Patagonia. It is ideal for those who arrive of for those who leave. 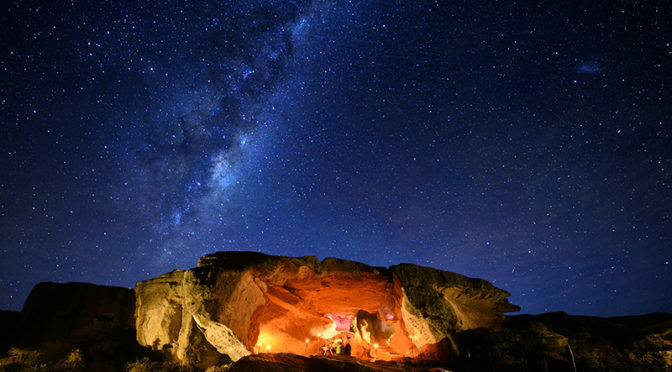 There are also two different schedules, you can take it in the morning or in the afternoon, though we recommend taking the night tour if you wish to enjoy the starriest sky that you will ever see. If you wish more information about this experience, please contact us at Kallpa Tour Operator! Vegetarians menus must be required with anticipation.